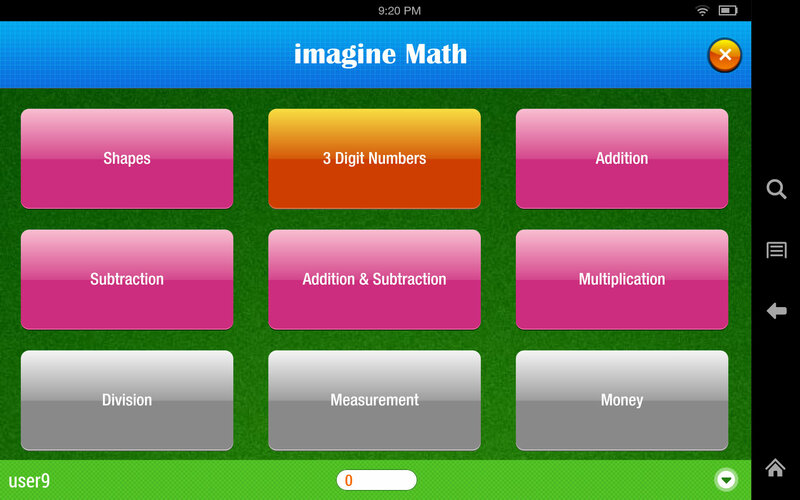 imagine Math teaches students basic math skills through a game-like interface in which students advance through curriculum topics at their own pace. Students can focus on mastering topics, spending time on areas where they are weak, practicing till they become proficient in each topic and subtopic. Each student learns differently and at a different pace. 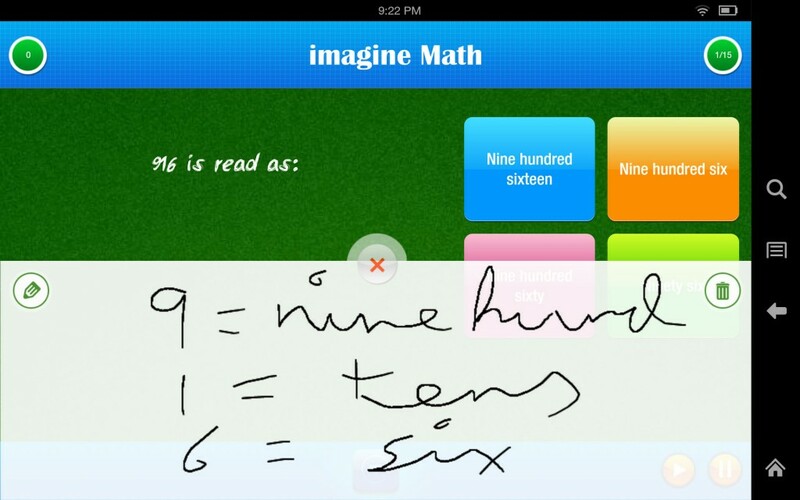 imagine Math helps students become math wizards by helping them progress individually. Too often students are limited by the curriculum linked to textbooks. If a third grade student doesn’t know second grade math, imagine Math will identify the student’s skill level and provide them exercises for the appropriate grade level. For each class topic and subtopic, students progress through questions spanning different complexity levels till they achieve mastery. Teachers have complete visibility into each child’s progress and the that of the whole class, enabling them to provide individualized attention and make curriculum changes as required. Teachers can incentivize students to practice harder by creating achievement rewards for students as they pass certain milestones. imagine Math is designed to make Math fun. The application features vibrant, visually appealing colors, sounds, and an intuitive interface that keeps students engaged. The application also features a scratch pad for solving problems.